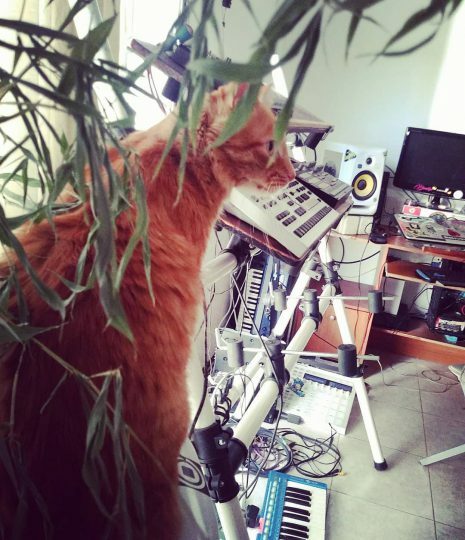 Posted on April 10, 2019 April 10, 2019 by catsynth	This entry was posted in Cats, Synthesizers and tagged cat, studio cat, Synthesizers. Bookmark the permalink. Don’t you look wonderful sitting in your jungle – both organic and electronic jungle – MOL! Thanks for sharing the wonderful photo. Looks like you are having such a great day. We always love stopping by and seeing the fantastic kitties and equipment each post that you share. Have a great one.